Armstrong was born into a poor family in New Orleans, Louisiana, and was the grandson of slaves. He spent his youth in poverty, in a rough neighborhood known as the Battlefield, which was part of the Storyville legal prostitution district. His father abandoned the family when Louis was an infant and took up with another woman. His mother then left Louis and his younger sister in the care of his grandmother and uncle but at the age of five, Louis moved back to live with his mother. This was a troublesome environment for Louis as his mother often entertained men in their home. He attended the Fisk School but dropped out at age eleven and joined a quartet of boys who sang in the streets for money. Around this time he also started to get into trouble and was sent multiple times to the New Orleans Home for Colored Waifs for general delinquency. It was here that he developed his cornet playing skills. He received musical training from Professor Peter Davis who also instilled discipline to the self-taught Armstrong. Eventually, Davis made Armstrong the band leader of the home going on to play around New Orleans. The thirteen-year-old Louis began to draw attention by his cornet playing, starting him on a musical career. He maintained a vigorous work schedule traveling back and forth to Chicago and California. Armstrong moved to New York in the late 1930s and later married Lucille Wilson in 1942. He remained there until his death on July 6, 1971. 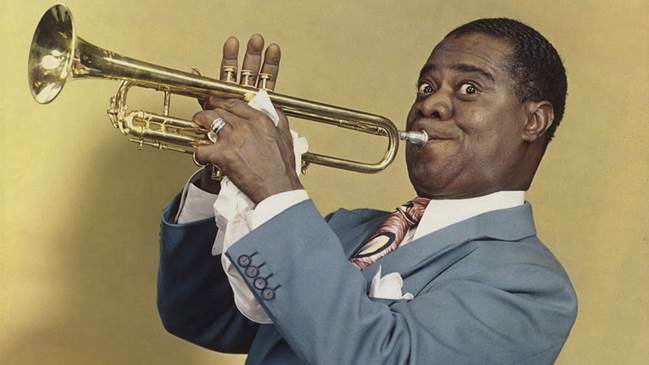 Louis Armstrong was the most important creative force in the early development and perpetuation of America’s music, Jazz. His influence, as an artist and cultural icon, is universal, unmatched, and very much alive today. There are nearly 3,000 children in foster care in Miami-Dade County. Perhaps there is a Louis Armstrong among them. Help us bring out the full potential in every foster child. Be A Voice by donating to their dreams!